Emergency Help Through Amazon Echo Connect: Alexa, Call 911! Get the Alexa app on your smart phone (you will need the app and a smart phone available for set up). 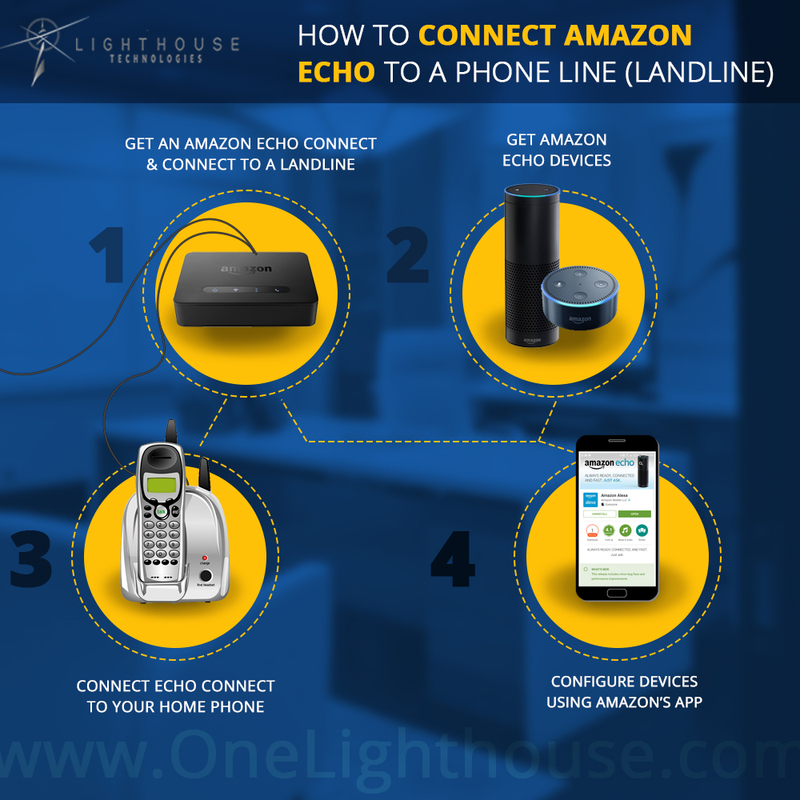 Plug in Echo Connect to your home phone line and Internet. (Note: for this to work, you MUST have a phone line – either Land Line or VOIP). Connect an Echo device to your Internet (wifi or wired). Test the system (by calling a friend or family member). Test that the devices are paired by taking them into separate rooms. Call device 2 from device 1, and vice-versa. Take the devices to the separate homes/business (the places where they will live). Test the devices to be sure they work in those locations. Read on for more background/details. Can you use Amazon Alexa, Google home, or Siri to dial 911? Recently, our mom asked Brian and I if we could set up an Amazon Alexa speaker in our Grandma’s house. She wanted to set this up just in case Grandma needed to dial an emergency number to get help right away. Instantly, my mind went to those Life Alert commercials we watched while growing up. In any case, she may need that kind of emergency assistance at some point. And knowing it’s available to her would help my mom and aunts to feel better. In an emergency situation where she’s couldn’t reach the phone, they would have peace of mind knowing something was available. For people in this situation, up until this point in history, the best method has (generally speaking) been to have a voice call button (and/or a cell phone) near them at all times (AKA fallen and I can’t get up lady above). But, our grandma is not interested in wearing one of those Life Alert buttons. It’s just not her thing to want to carry that around with her or have it strapped on to her wrist or ankle, or dangling around her neck. And she doesn’t always keep her cell phone nearby. What If I’m Not Wearing My Emergency Call Alert Service Button? Doing some research for this article, I learned that this is a pretty common problem. People who pay for the Life Alert service sometimes forget to keep their call button with them. And if they don’t keep it on them, it sort of defeats the purpose of having an emergency service on-call like that. So our Mom and one of our aunts thought that perhaps Amazon Alexa could be used to dial 911. While this was a good idea, it was slated as something for the future. Emergency Services (like 911) must have a number that they can dial back to, a location they can track, in order to accept an incoming call. Before Amazon launched the Echo Connect, there was no way for an Amazon Alexa speaker to call out with a caller ID. This prevented it from being used to receive an incoming call from an emergency service. Because of this, there wasn’t a way to call directly from an Amazon Alexa speaker to a 911 service. But that changed a few short months ago. It’s now available through Echo Connect. What did people do prior to Echo Connect? There were workarounds prior to Echo Connect. Basically you could emergency help, by connecting 2 or more of them together. As we alluded to in the steps above, there are ways to set up these devices in advance of an emergency situation. 2 or more of them are set up to talk to one another, regardless of where they’re located. Doing so, you can avoid paying the monthly fees associated with a service like Life Alert (which can range from $20-$50/month). Or alternatively, you could also just use your cell phone. Since avoiding unnecessary monthly fees is pretty much always a good idea (if you don’t have a landline and/or don’t want to pay for separate phone service), I’ll go through a few ways now that you can use voice activated means (without an Echo Connect and/or without a land line/VOIP line). If you have your cell phone nearby, it’s easy enough to say “Hey Google”, or “Hey Siri”, and then tell the phone to dial someone, even 911, for you. Downside: This does require your smart phone to be in close enough proximity for it to hear you. It also requires you to have set up Siri or Google voice recognition on your phone, to be able to dial that phone call at the time of the emergency. Upside: this could be an option, if someone has an emergency and is unable to reach their phone. If they are able to direct Siri or Google on their phone to call an emergency service with their voice, this could work. The emergency service can try to pinpoint the cell phone through the tower it’s using to place the call. This is true even if the person is not able to communicate with the person on the other end of the line because the phone is out of reach. 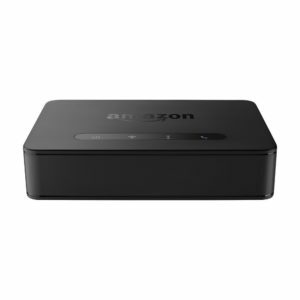 Using your home wifi system, Amazon devices can connect to the Internet. 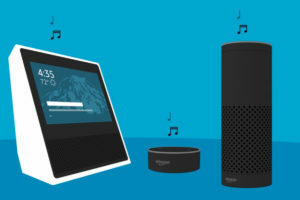 Through your Amazon account, your Alexa or Echo device can be connected to other Alexa or Echo devices. So, in the case of my mom and aunts, they could all have paired speakers inside of their Amazon accounts. Then, Grandma could say “Call Family group”, and she could talk to any of her daughters through her Echo Dot/Echo devices connecting to their Echo Dot/Echo devices. Grandma could even include Brian and me (and our Alexa/Echo devices) within this same family group. Upside: She would have direct contact with anyone in the group through her Echo/Amazon devices. In an emergency, she could say something like “Alexa, call family group”. And then anyone in the group of devices that has been paired together could call 9-1-1 on her behalf, (or assess if some other kind of help was needed). Downside: Someone in that group would have to be sitting by the speaker, at the time that grandma had the emergency, in order to receive that direct call from her. Ask my buddy is a free service, that ties in a skill to Amazon Alexa, or Google home voice platforms. You can use the AskMyBuddy service to set up a personal alert Network. Then, if you are in an emergency situation, you already have your personal alert Network configured. “Hey Cortana, ask my buddy to send help”. 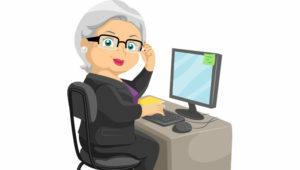 This requires you to set up your Personal Alert Network in advance, at the askmybuddy.net website. Then you simply link whatever voice assistant device you have, (whether that’s an Alexa, Echo, Google home, or Cortana), to the ask my buddy skill. The askmybuddy.net people have been reported to be pretty helpful in getting this set up. We don’t have personal experience with their support just yet, so please let us know if you try it. So that’s what’s available now. We really recommend the Echo Connect Though. What about Voice Activated Emergency Services In the Future? 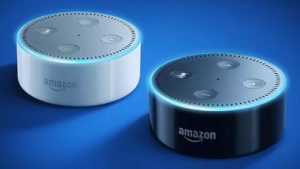 There is a not too far-off future, (which could be by the end of 2018), where Amazon Echo, Google home, or any other home microphone speaker type device can connect diferently, and directly, in the way emergency services need. 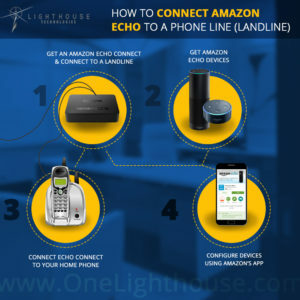 Again, you can currently use an Echo Connect, tie it in to your phone line and Internet, and be good to go. The challenge for emergency services (without a device like the Echo Connect) is that you may set up a voice activated system at one location, but you might connect multiple devices to it. If someone in the family group placed the call, they wouldn’t be able to identify where your smart speaker was, or perhaps might mis-identify it’s location. This might lead to first responders going to the wrong place in an emergency situation. So, it’s very lkely that more devices like Echo Connect are coming, which will let you call emergency services, regardless of if you’re using Echo/Alexa/Google Home/Microsoft Cortana, etc. Amazon has paved the way. 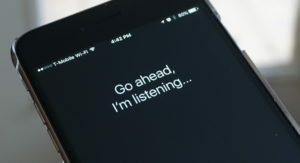 Future devices may instead let you use your cell phone, in much the same way Echo Connect now uses a land line. Then it would simply be as though you called 9-1-1 directly from your cell phone. Is Life Alert Still A Business? 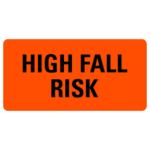 If you want, you still have the old expensive (monthly contract) stand-by option of the Life Alert type system, which requires you to wear something on your person at all times. The “group” method we’ve detailed above. Simply pair one Alexa/Echo speaker with other Alexa/Echo devices and use them like an intercom system. You can make this connection (provided there is an active Internet connection) by putting connected devices in the homes, businesses, or other places of people who can make an emergency phone call to 911 (on your behalf) in an emergency situation. It’s not the most ideal situation, but it is a good work around if you’re missing a land line or VOIP service. (You could also try the “Ask My Buddy” service. Regardless of which option you choose, (and even if you never have an emergency situation which uses the group you set up), you’ll still get the enjoyment that comes with having a simple smart device available to you.